A cooking book for children by ChefsNshape, illustrated by me, is now on PubSlush! ChefsNshape believe that children’s nutrition starts at an early age and with this book kids will be begging to cook with their families. 41 day to go! Today I drew a new cover on my portfolio! The little drawings are all things I like or own or find interesting or I just like drawing. Fun! The owner of ButtonShyGames contacted my on Boardgamegeek and we ended up working together making this game called North South East Quest. He made the gameplay (it is a storytelling card game) and I made the look for the game, both the graphics and illustrations. In August it will be fundraising on Kickstarter. Stay tuned! Now I have opened an account on Fiverr! Fiverr is a platform where people can buy and sell micro-services for five dollars. Click the picture to go to my Fiverr site. 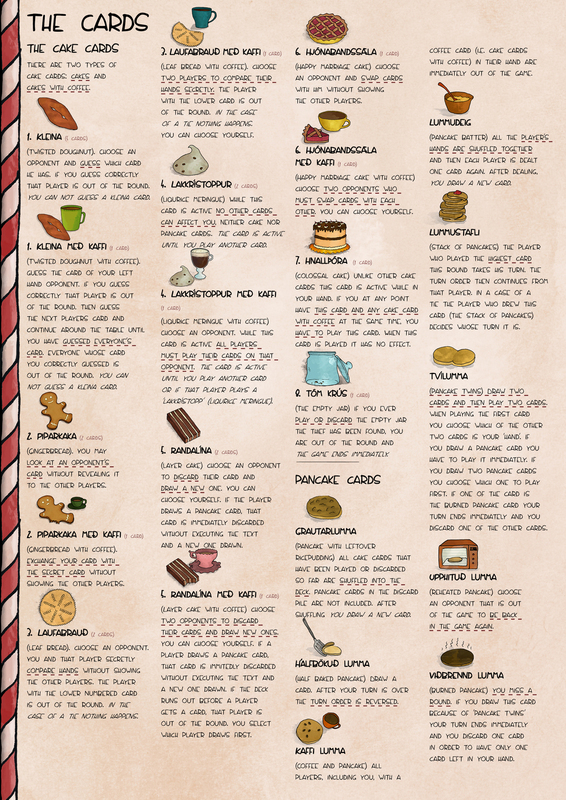 The rule booklet for my Cookie Jar Game can now be downloaded in English. 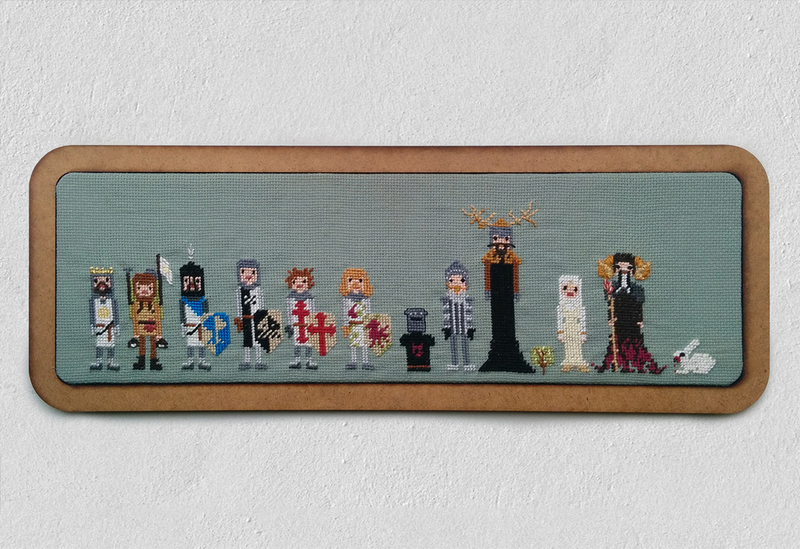 I got a half finish present some time ago, a cross stitch of the characters from Holy Grail. When I was finished I realized I couldn't find a frame easily so I made one in Fablab. While I made that I also made a biscuit inspired frame for a Hansel and Gretel 3D postcard I got from my mom. We are still working on Hulda, a point and click viking-age game. My fiance and I are working on a sudoku-game for android. I make the art and he makes it work! It is called Swipe-Sudoku because the player can make a horizontal or vertical swipe to change the view of the game. Þúsundfjalasmiðurinn og vöruhönnuðurinn Auður Ösp Guðmundsdóttir mun opna sýningu á Hönnunarmars á dúkkuhúsum í SPARK design space. Íbúar húsanna munu smám saman flytja inn í húsnæðið meðan á sýningunni stendur og koma sér fyrir. Mér fann ótækt að nýju íbúarnir væru þar matarlausir og ákvað því að skella í smá-bakstur. My friend Auður Ösp Guðmundsdóttir is opening a dollhouse exhibition this Design March in SPARK design space. The residents will move in over the course of the exhibition and settle in. I wanted to welcome the new people with newly baked goods. Yesterday Order to Effect was awarded second place for the Project of The Year! Yaaaay! I'm working on graphics for a game called Hulda. It's a mobile point-n-click puzzle adventure set in Viking era Scandinavia. Play as Hulda, a young deaf girl, on her quest to save the world from an eternal winter and a never-ending night; Ragnarök. In the Christmas vacation I started making me a new dress, but haven't finished it yet though... It needs to be finished for summer! 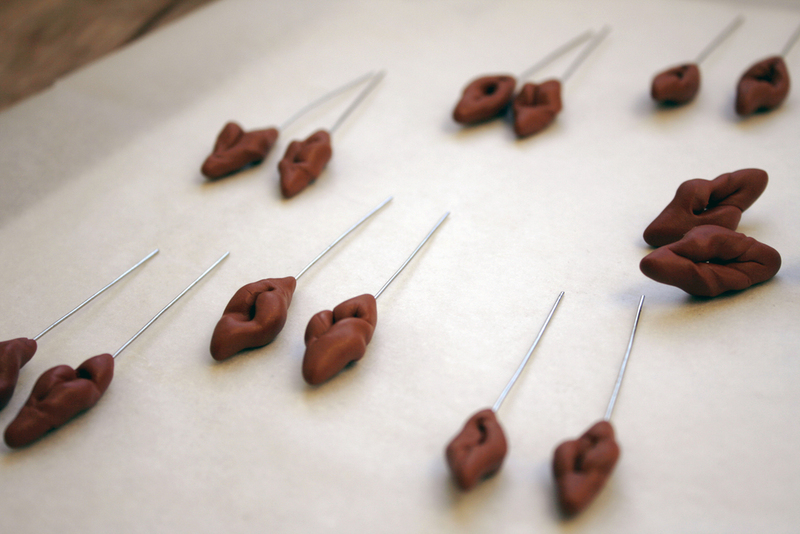 From my last earrings session. I've been drawing a display box for my card game. It will have the shape of a gingerbread house and house 18 decks of cards. I'm all about Christmas now. Listening to Italian pop songs (which in Iceland are Christmas songs! The same songs with new lyrics) I finally finished my 3rd pair of mini candycane socks. This pair I gave to my newest uncle, Völundur. He seems happy about them. Hrefna Rún (the mother) took the two last pictures. Earlier this month I hosted a card game event in SPARK gallery. I made hot chocolate and gingerbread for the players. I made the gingerbread in the shape of "kleina", a twisted doughnut Icelandic grandmas are famous for, with a convenient kleinu-wheel that cuts the whole shape in one go. I call the cookies piparkökukleinur. They were tasty.